Don't have time to make pie for Thanksgiving dessert but want that fresh baked pie aroma to drift throughout your home? 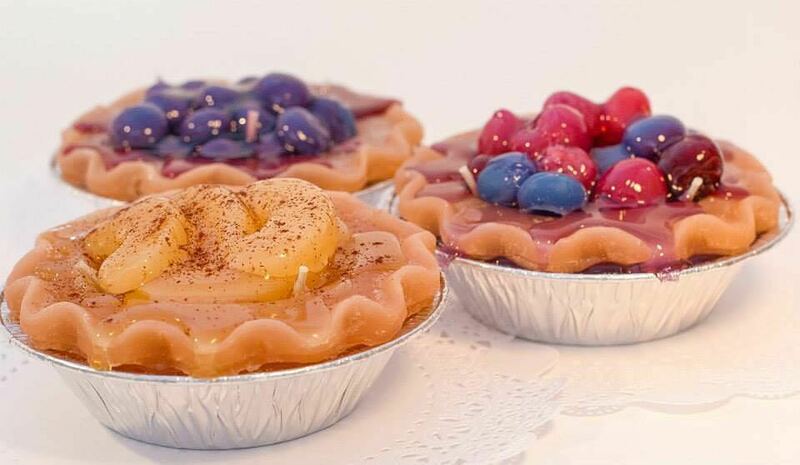 Foggy Island Candles makes scrumptious looking pie candles that will make your house smell divine. Available scents include apple, bakeapple, blueberry, cherry, partridgeberry and wildberry - aromas that evoke memories of childhood, the East Coast and family gatherings.